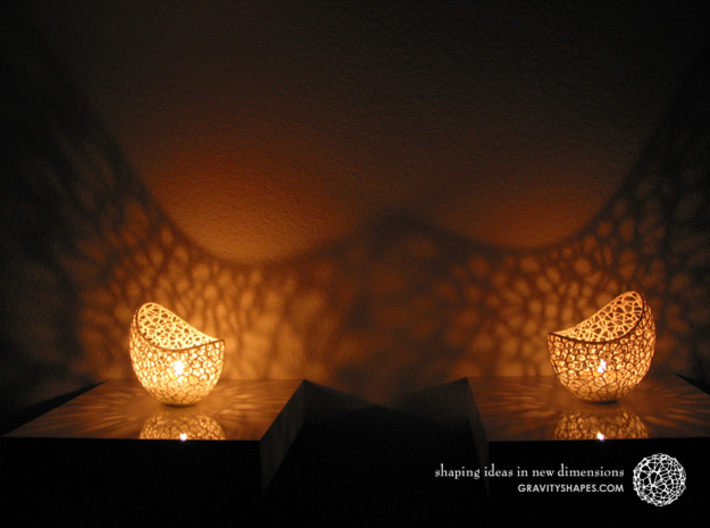 Filigree double wall tealight holder for real tealight candle (only for in the house, windless places) and LED tealight candle (for all places). 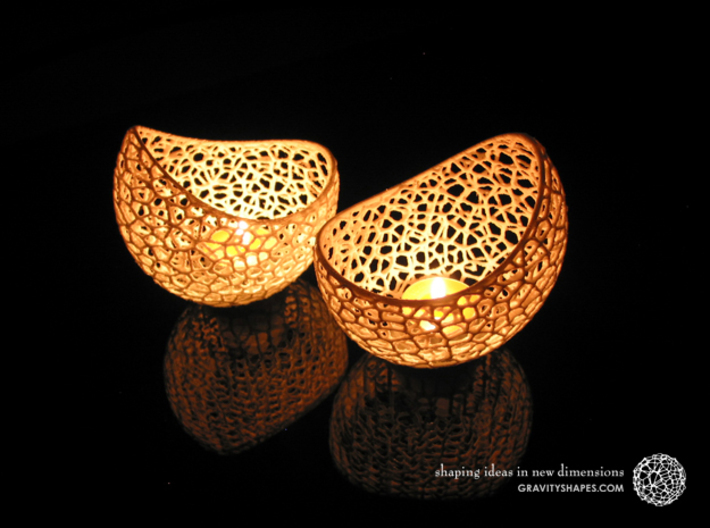 Small filigree design > big impact! 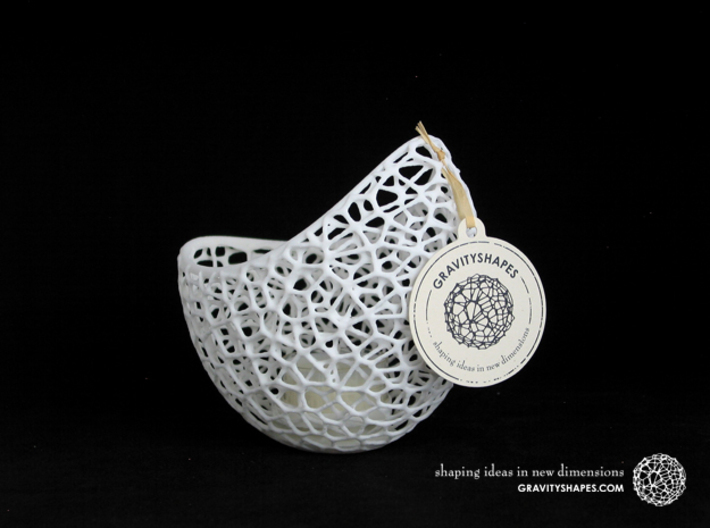 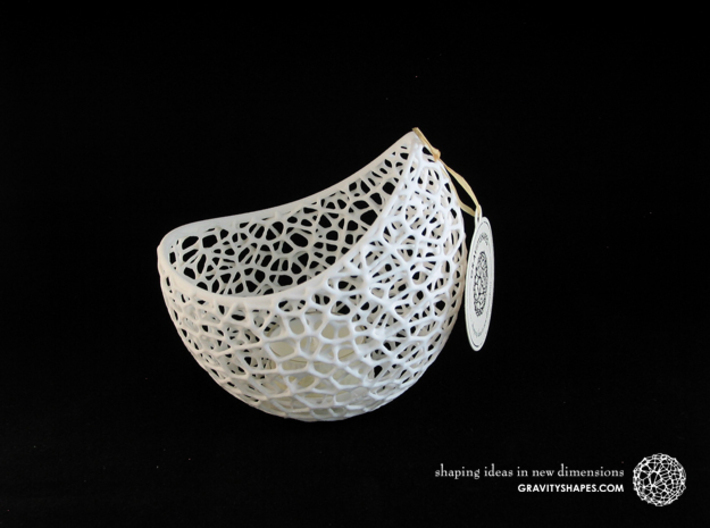 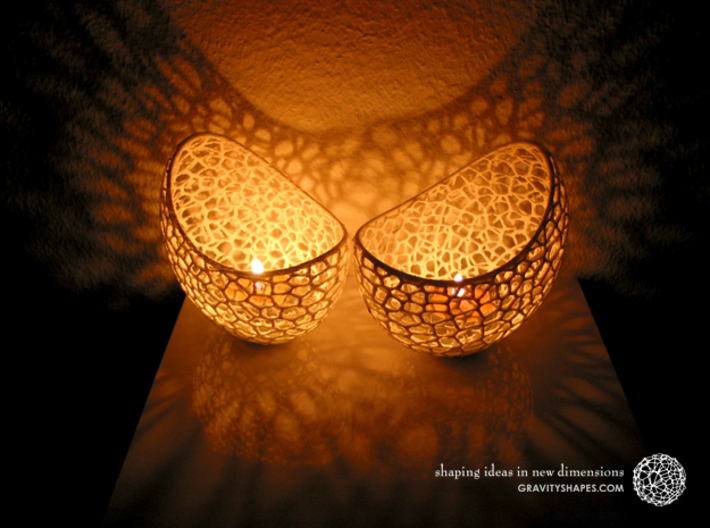 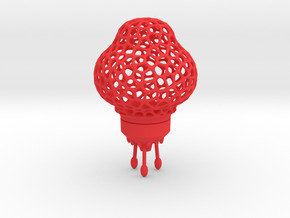 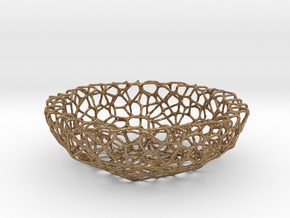 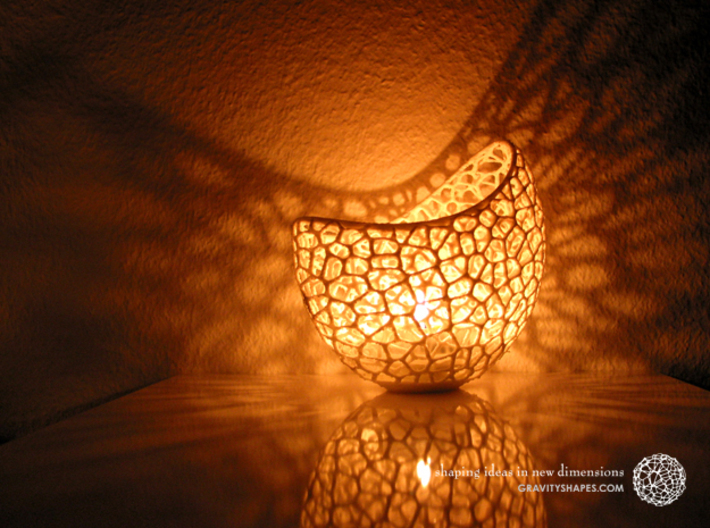 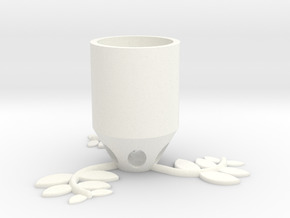 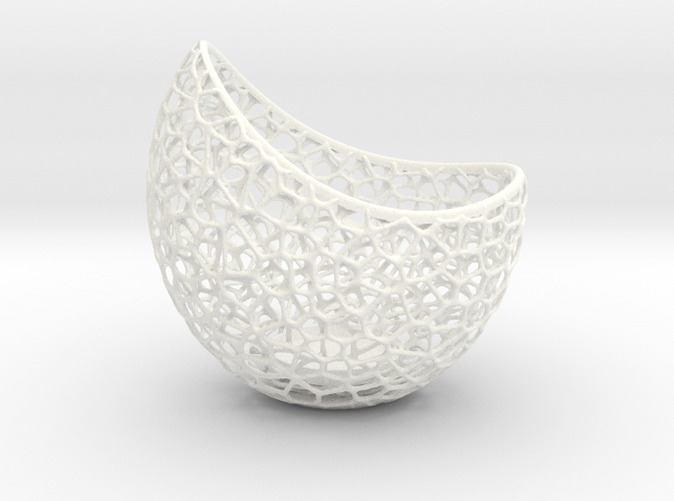 This filigran voronoi tealight holder is a beautiful decoration and lamp. 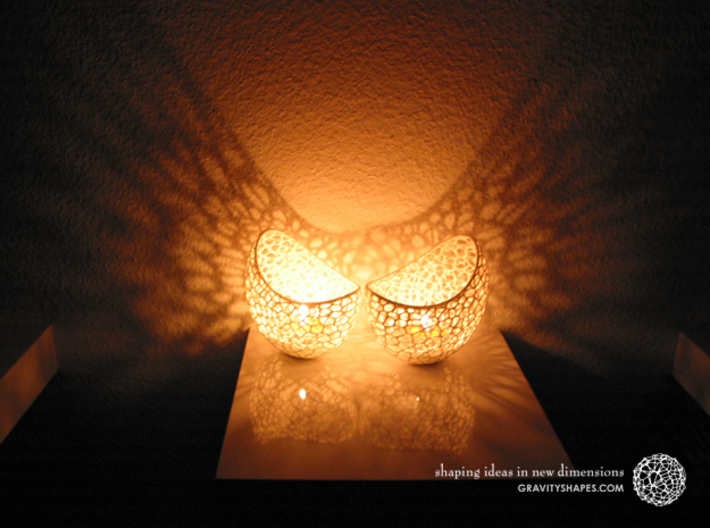 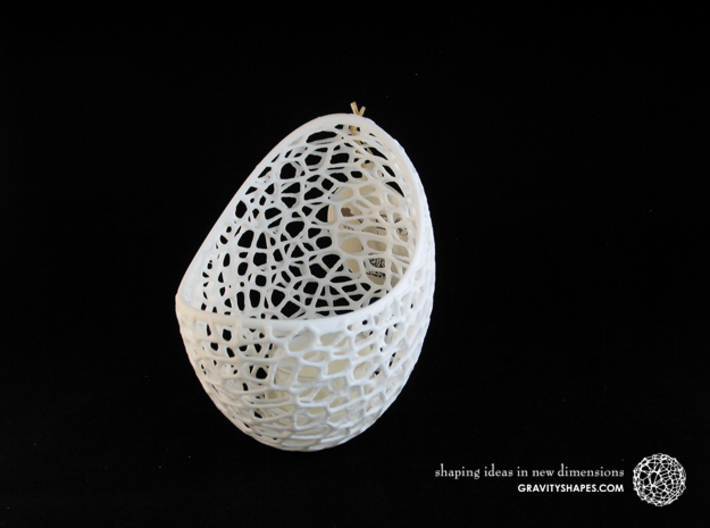 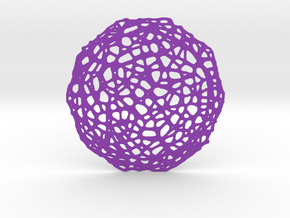 Through the filigree voronoi-parts, the light casts a beautiful light and shadow effect. 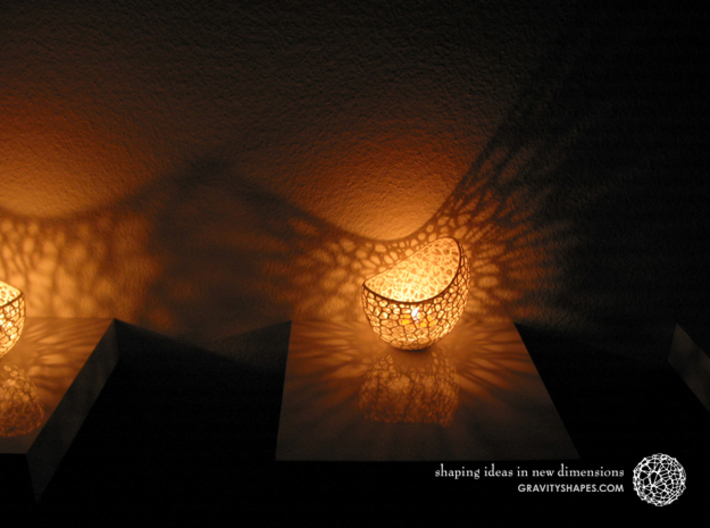 The Tealightholder looks so at day and night very nice and is therefore ideally suited as a gift and decoration. 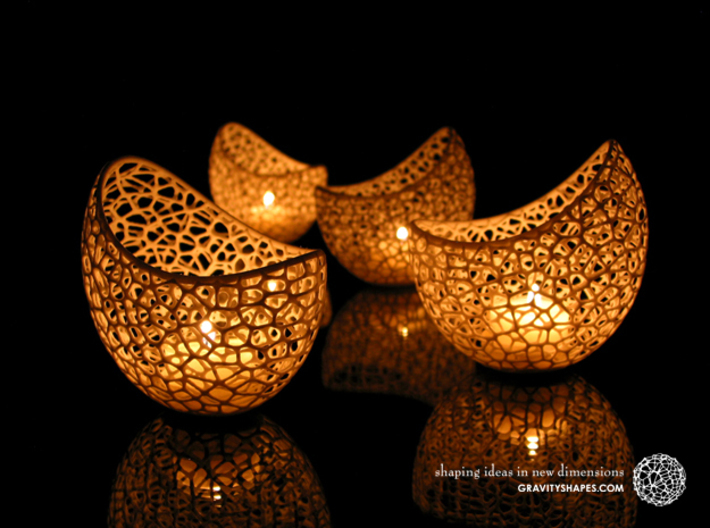 Important: Please do not use real tea lights, when it is not windless! 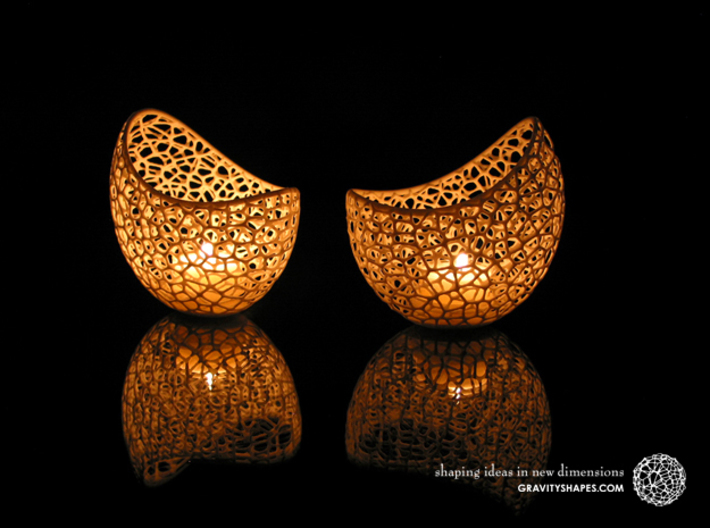 The material can otherwise deform, melt or possibly burn when the flame comes at the object. 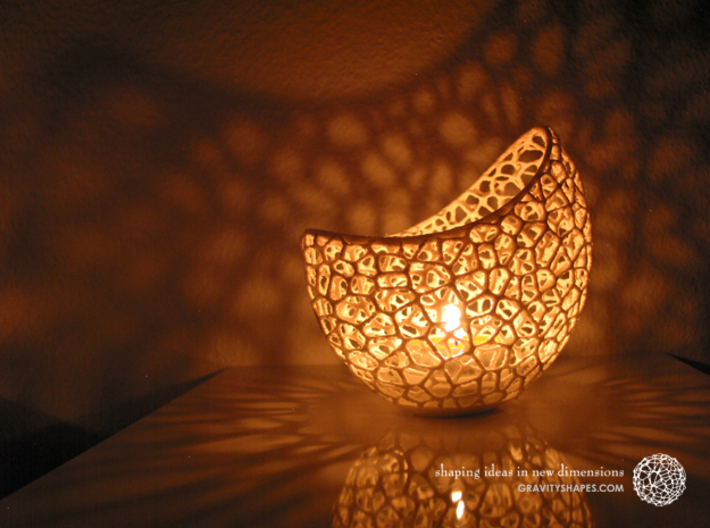 Use only LED candles if it wind or the candle is not supervised. 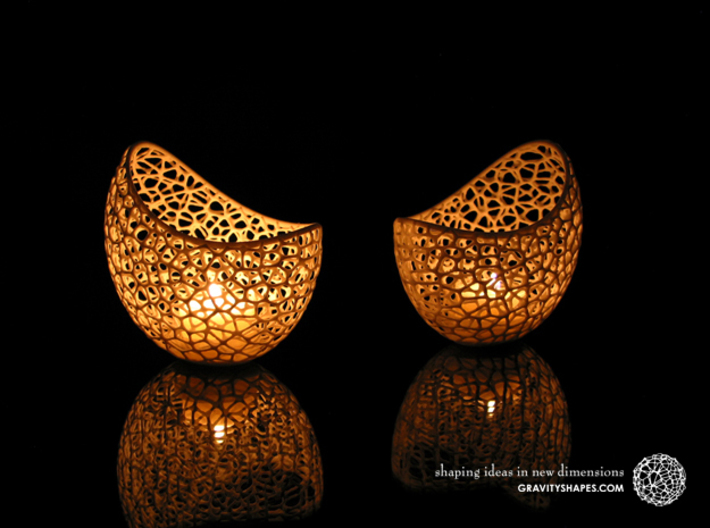 On windless places the tealight holder should not be harmed with real candles.